If you have baby fine thin hair, you may have difficulty finding the right hairstyle to make your hair have more volume and movement. 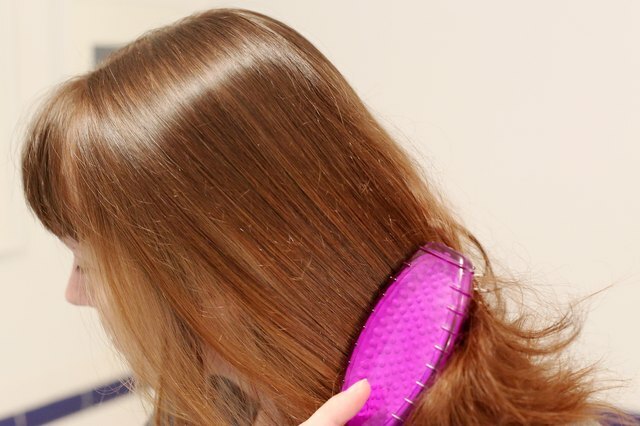 First, you must start with the right cut and color. Then you have to use the right styling products to complete your hairstyle, as well as a few techniques to enhance volume. If you apply the following strategies, you'll have sexier, fuller hair in no time. Long hairstyles do no favors for fine or thin hair, as the weight pulls hair down on your head. Instead, keep the length of your hair at your shoulders or above. Layered cuts are the best option for baby fine thin hair, as they provide texture and give the roots more lift. If you prefer to keep your hair on the longer side, try a shoulder grazing cut with layers that enhance the bone structure of your face. The bob is a good choice for baby fine thin hair, as it creates the illusion of fuller, thicker hair. There are many variations on the bob, from above the chin to shoulder length. 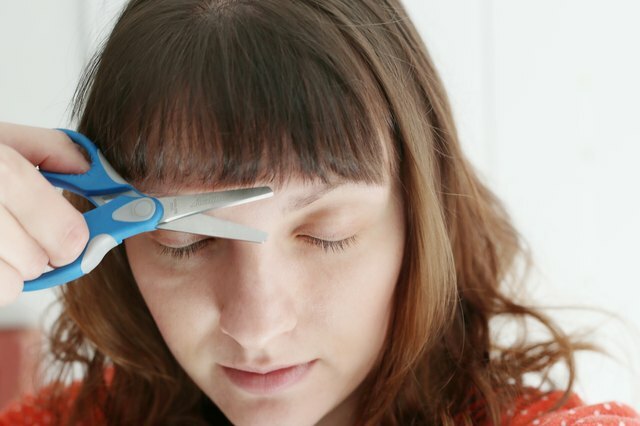 Bangs are also a good option with this cut, especially if they are short and heavy. If you are willing to go shorter, a pixie cut will give your hair a lot of texture and can be very flattering to most face shapes. 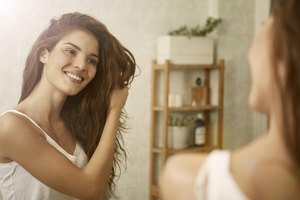 If you have fine or thin hair, however, you should avoid razor cuts, as they can make the hair look wispy, and therefore thinner than it really is. Also, avoid cuts that require too much styling, as heat is especially damaging for baby fine thin hair. Coloring fine or thin hair can give it more depth and make it look fuller. Consider adding both highlights and lowlights. Another benefit of color treating hair is that it gives hair more texture, which baby fine thin hair lacks. 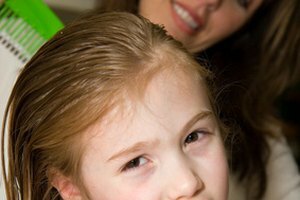 See a professional colorist to avoid damaging or over-processing hair. There are a multitude of volumizing and texturizing products on the drugstore and beauty supply store shelves. You can purchase shampoos, conditioners, mouses, gels and sprays that promise to make your hair look fuller and thicker. If you condition your hair, only use conditioner from ear-level down to avoid weighing down roots. 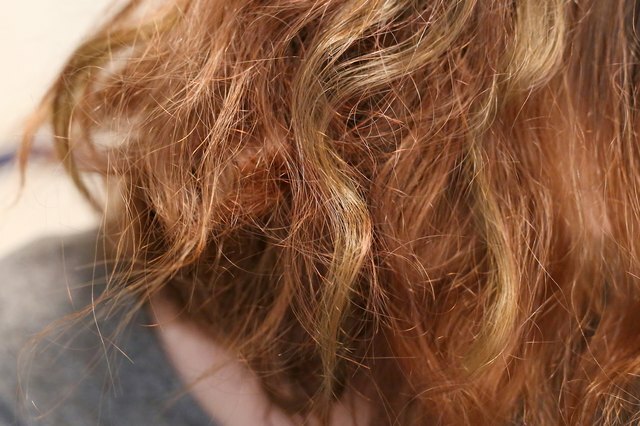 Try a light, spray-on conditioner rather than heavier, leave-in conditioners. As for styling products, mouses are usually a great option for adding volume because of their light, airy consistency. 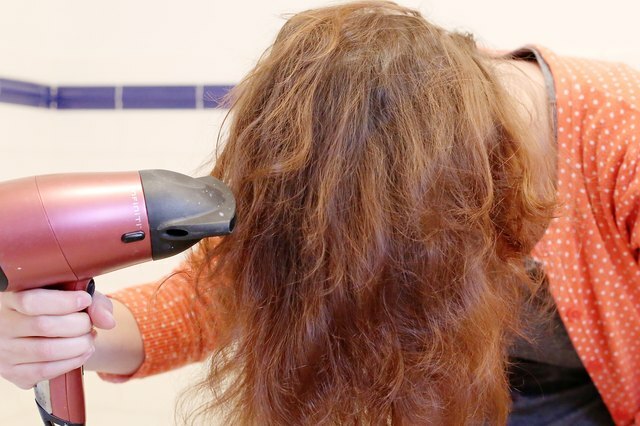 When you blow dry hair, try flipping your hair over and drying it upside down for more volume. Gently teasing the roots around the crown will give your hair a lift, but be careful not to damage hair. Finish with a light misting of hairspray to give your style staying power. If products don't seem to help, consider adding a few hair extensions to make your hair much thicker. There are extensions you can buy and attach yourself, but for the best and most realistic results, see a professional stylist.